We feel confident that we are doing everything we can to put the best Pennswood forward, and we have Love & Company to thank for pointing and guiding us in that direction. 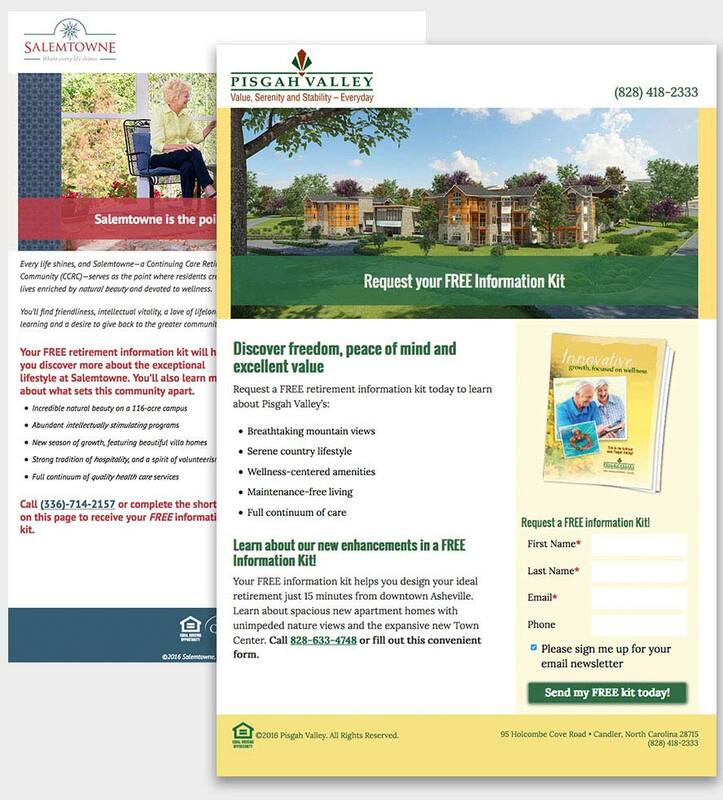 Our relationship with Pennswood Village began with a sales and marketing assessment. Pennswood Village is a 35-year old Quaker CCRC in affluent Bucks County, Pennsylvania. Throughout its 35-year history, it enjoyed high occupancy and a strong wait list. 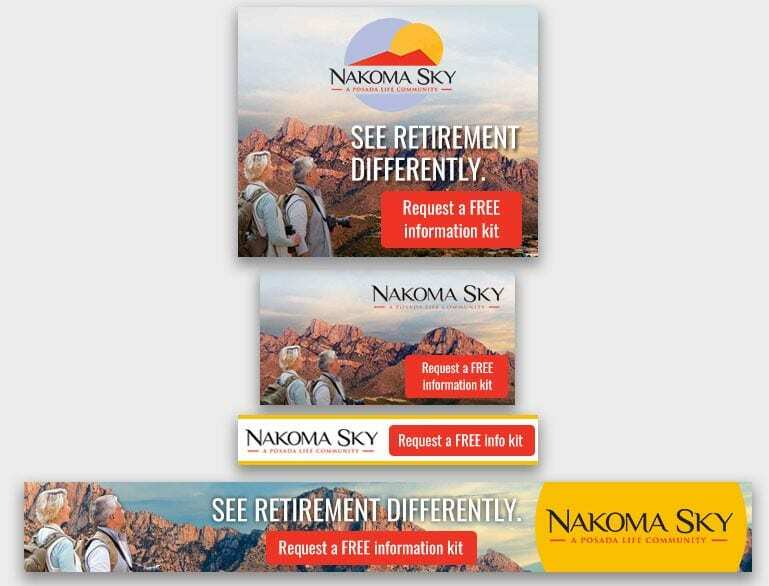 It did so largely through word of mouth and the Quaker-influenced philosophy that “if prospects like us, they will call us.” The community’s reputation and well-established Life Care contract made its dependence on marketing materials secondary in importance. By early 2012, the economic downturn showed its effects, and occupancy dipped to 88%. 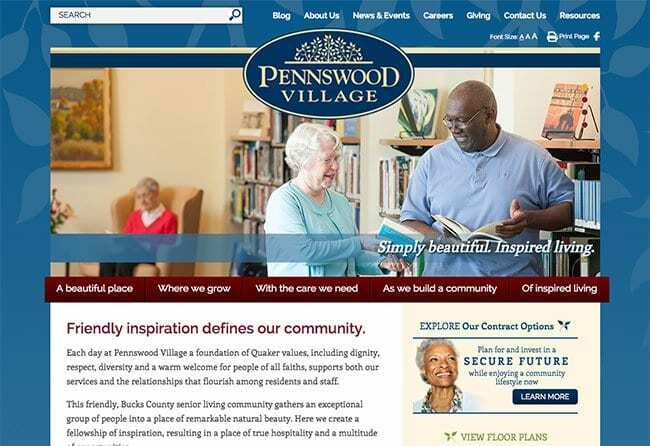 At this point Love & Company provided a sales and marketing assessment, which determined that, among other things, Pennswood needed a rebranding process, a shifting of marketing dollars to allow for more direct marketing, and an improved internet presence. Pennswood recently renovated its community center, which is complemented by well-maintained grounds, an impressive fitness center, two pools and an inspiring art gallery. Its greatest asset, however, is a resident population and lifestyle that truly excels. The existing collateral, however, did not portray this wealth of benefits. Love & Company revamped the Pennswood positioning strategy to showcase its strengths, and applied that to the collateral, advertising and website. Key to this successful effort was a photo shoot that utilized the residents themselves. This allowed Love & Company to create a collateral package that portrays the residents expressing their individuality in inspiring ways. 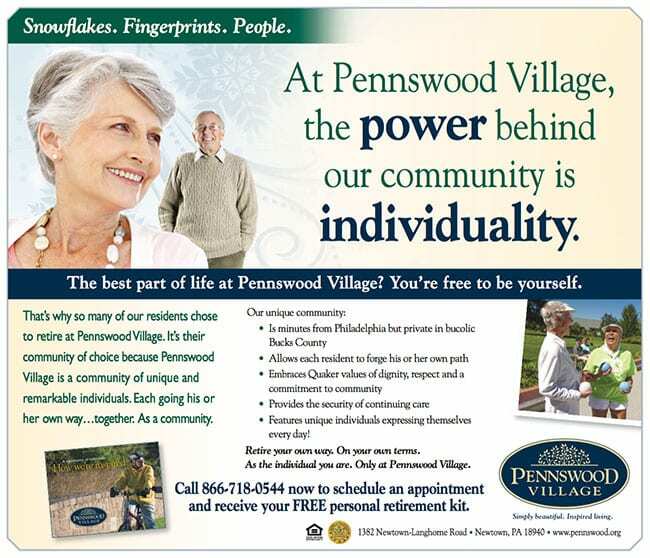 The Pennswood website puts the community’s many competitive advantages on center stage. The inspiring resident photos highlight the community’s most inviting features, while the headings and texts use language that conveys the Quaker-values and accomplished, inspiring lifestyle of the residents. We translated the Pennswood brand into cost-efficient direct response campaigns like this invitation to an event that helps prospects see the community, experience its atmosphere, and interact with residents. This piece’s response rate beat industry benchmarks, and was part of a varied event strategy that proved irreplaceable in Pennswood’s turnaround success story. 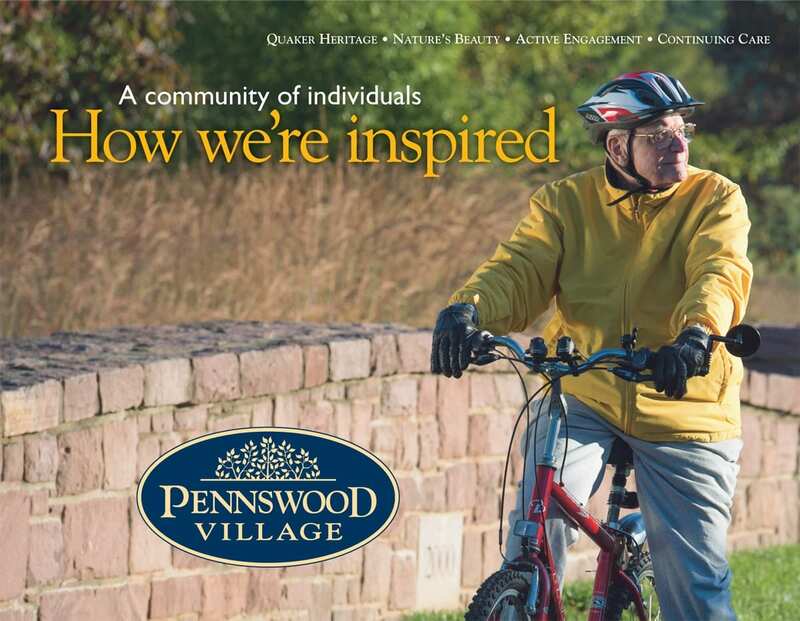 This ad conveys one of the core aspects of the Pennswood brand, and these ads, distributed both locally and in regional publications, help establish the community’s unique commitment to Quaker values, and sets expectations for an on-site experience that matches exactly what seniors experience when they move in. When they hired Love & Company to do an assessment in 2012, Pennswood had 19 sales. Within the first six months of implementing the rebranding and other recommendations, Pennswood had 29 sales. In 2014 Pennswood had 36 sales, and occupancy is now stable at above 95+%.